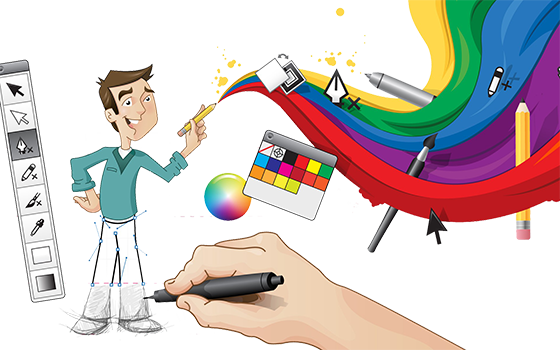 Our Team has got the right talent of reverberating creative and visually appealing output, hence serving a wide range of customers from many different Industries. We are committed to deliver Websites solutions that are more user friendly, more accessible and more appealing. It's all about Our passion towards producing awesomeness which drives us to create beautiful designs. Our Process flow is quite simple where our team starts the initial design stage after gaining in-depth knowledge about your business and deliver passionate designs without compromising the user experience part. Our UI/UX developers would give a creative touch, which adds more to the selling elements of your website. Today the world has become more mobile and hence the technology has adapted itself to please the mobile users. Responsive web design gives a one design solution for all devices. We strictly follow mobile first design pattern to leverage the site experience across various platforms. Just like a Wordpress, Joomla Cms platforms, we have build in our own customized Content Management System. Over the year of experience handling our various client needs, we have mastered ourself in learning the client expectation. With this knowledge, we have developed the CMS which would be more easier for the clients to update the contents or other elements in their website on their own. Thus developed website would be more user oriented and gives you a great visual experience in customer perspective. Our Wordpress experts at Binary Resonance can give your requirements more flexible web solutions using wordpress platform. We can provide any kind of wordpress/Joomla customization and template designs from scratch. Some would prefer wordpress over other web platforms. We can bring to them the best wordpress designs which is very easy to edit & manage all the content parts from the client side. E-commerce Industry is booming with every micro & macro entrepreneurs moving their products to the digital world. But only through a unique E-commerce design can one give life to a product. Our E-commerce designs proves to be a money ticker for your Business. Our dedicated resource gives value added inputs to your E-commerce portal by concentrating on User interface part and It just gives an extra mileage to your selling elements. We Build the E-commerce designs using COre PHP platform and we can customize the portal to any extend that it creates an impact in your customer's mindset. We can give our best E-commerce solutions in Magenta & Open cart based on the clients requirement.